Apple is reportedly selecting apps to showcase on its new iPad 3 at the tablet's launch event in March according. The Next Web has been informed of the details thanks to various sources and it reports that Apple is in "crunch mode" – lining up apps to demonstrate on the iPad 3 at launch and in its new advertisements. We can expect the selected apps to feature stand-out qualities which will showcase the new features on the iPad 3 - instantly turning the fanatical crowd into a pool of uncontrollable ecstasy-ridden Apple ultras. 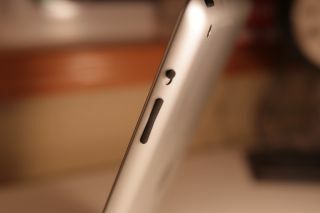 It is looking more and more likely that we will see the iPad 3 in early March and this is sure to excite the Apple faithful beyond belief. The tablet market is set to hot up in 2012 with a range of new slates expected to get an outing at MWC in Barcelona and it will be interesting to see how they match-up to the iPad 2, let alone the iPad 3. Varying rumours on possible specs for the iPad 3 have been doing the rounds for some time, so we have made it easy and rolled them into one comprehensive video for your viewing pleasure.